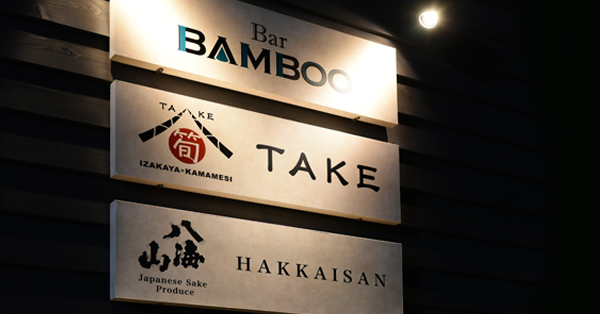 IZAKAYA TAKE and Bar BAMBOO are closed in April 7th, 2019. We are expecting to open next season around December 20th, 2019. We will announce once the opening date is determined. Thank you so very much for visiting us this season. We are planning to serve new menu and continue to improve our services for next season. We will be operating an Italian Restaurant at HAKKAISAN IZUMI Village during green season. Please expect great food and service at IZAKAYA TAKE and Bar BAMBOO next season!